Long one of my favorite Paso Robles wineries, Giornata uses Italian grape varietals and an Italian sensibility with distinctly Paso Robles fruit. After working for a well-known Tuscan producer, and traveling throughout Italy, Brian Terrizzi and his viticulturist/wife Stephanie had the bright idea of growing Nebbiolo in California, in the face of many naysayers who claimed it could not be done successfully. Today, Giornata produces about 2500 cases of stunning, unique wines including this beautiful Nebbiolo and an intriguing, distinctive Vermentino. 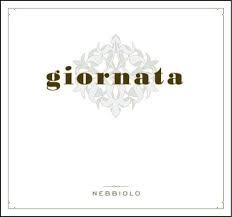 Nebbiolo when made well is relentlessly forceful when young, a tense, massive compulsion while releasing, delicate fragile aromas. Acerbic and provocative but with elegance, that’s Nebbiolo and no one does all that better than Bowie. Vermentino’s home is in Sardinia, although I’ve seen it in Bolgheri and Piemonte as well. An uncommon grape in the U.S. , Giornata sources theirs from the 30 year-old Coyote Glen Vineyard and then vinifies it as an orange wine. It’s fermented in amphora on the skins for 3 weeks and then sits on the lees for 8 months in the same vessel before bottling. Pale gold in the glass, the tangerine, orange blossom, melon and salty aromas, are a unique combination of fresh fruit and earth. An outstanding, creamy mouthfeel, almost full bodied, gives the wine a laid back, mellow dimension, quite soft for a skin contact wine, with a softly textured finish that shows great fruit purity. Cibelle’s Um so Segundo shares the heady tropical atmosphere and mellow comportment of this wine.